This Sunday is the World Cup final, with France and Croatia competing for the title of world champion in soccer! Soccer is the most popular sport in the world, played in over 200 countries. 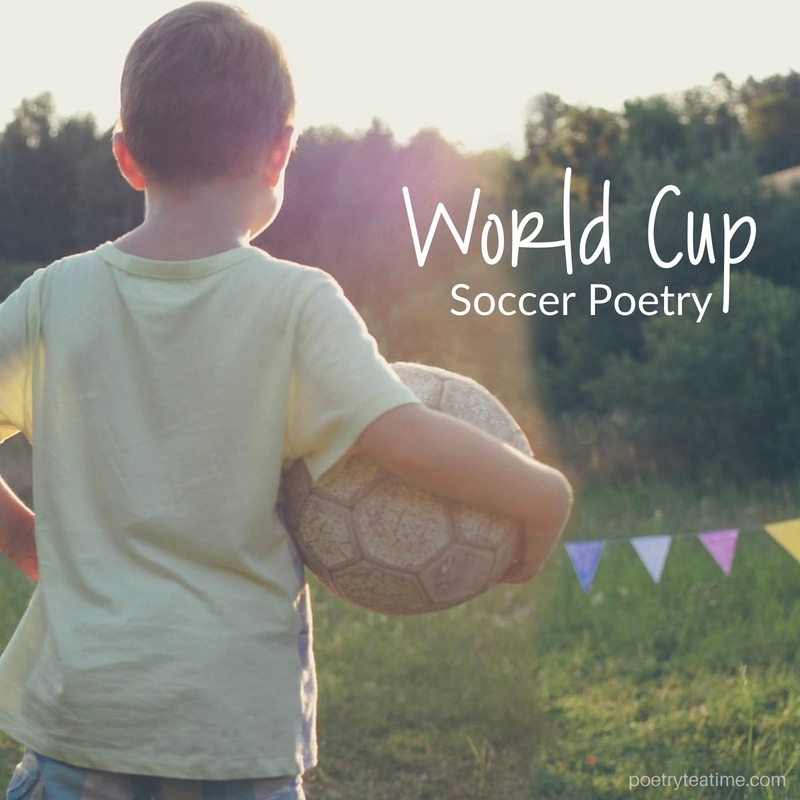 Whether you’ve watched every match of the World Cup or have never seen a soccer game in your life, today’s the day to learn more about the game and enjoy some soccer-themed poetry! Games similar to soccer have been found in manuscripts and archaeological sites dating back at least 3,000 years, in areas as far apart as Ancient China and Medieval Europe. In the early days, the soccer “ball” could be made out of anything, from cloth stuffed with rocks to inflated animal bladders! The game of soccer (also called “football” in many countries around the world) officially began in 1863 when England formed the Football Association and created rules for the game. Women also started playing soccer at around the same time in England, but they were not allowed to compete formally until the 20th century. Find out more about the history of soccer here from the FIFA World Cup website. The World Cup tournament happens every four years. The participating countries change each time, since the team has to qualify to compete on a world level. This year, teams competed from five continents. All of the semi-finalists this year were teams from Europe (France, Croatia, Belgium, and England). The stakes are high, with each team competing for the glory of their home country. To find out more about the teams and key players, search “World Cup 2018” on Google for handy charts and graphs from Google. If you want to celebrate with a World Cup-themed party, decorate by hanging up the flags of countries in the World Cup this year. Go back and watch the short highlight videos of games so far (found on Google under “World Cup 2018”). Be sure to choose a side—France or Croatia—for the final match! You don’t want to miss out on these fun soccer-themed books, either. You can even make reading the poems a game! 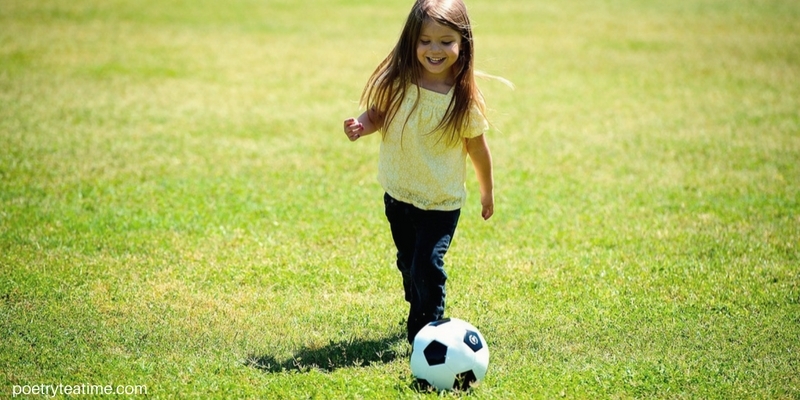 Grab a soccer ball and stand in a circle in an open space. After reading a poem, each person needs to pass the soccer ball across the circle to choose the next reader. Be sure to follow the rules of soccer, so no using arms or hands!